Autoadapt’s Turny Low allows you to choose vehicles that were previously impossible to adapt. By utilising previously unused space in the vehicle, Autoadapt have designed a product that will fit in a wider range of vehicles, provide excellent leg space and head space as well as vastly increased seating comfort. With the Turny Low Autoadapt have made a giant leap closer to allowing you to choose a car based on your desires and not your needs. 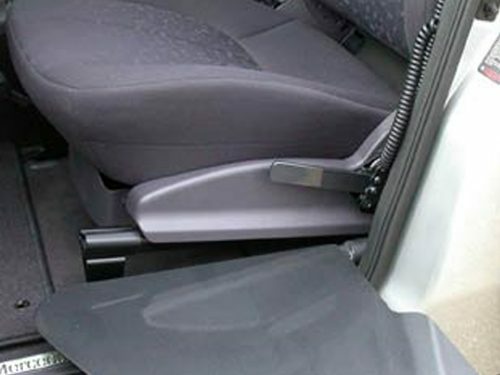 ReXtension – By backing up the seat halfway through the swivel process valuable space is freed up for legs and feet. This is one of the key features that make it possible to choose vehicles that previously have been considered too small and narrow. See pictures of ReXtension process. 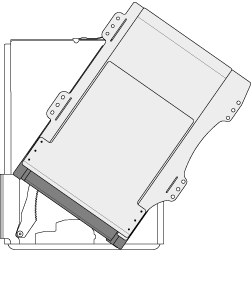 In comparison to other swivel seats such as the Turnout, the Turny Low will bring you roughly 15 to 25 cm further out. 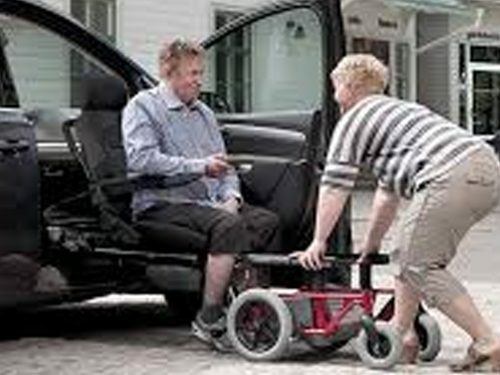 These extra cm can mean a lot when it comes to making the transfer to a wheelchair or standing up. 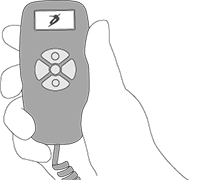 The intuitive remote makes it easy for both you or your carer to control the Turny Low. Whether you’re swivelling out or just doing a simple comfort adjustment inside the vehicle, the remote will light up colour coded buttons with the available options. Green means GO and red means NO. It’s nearly impossible to do something wrong and besides if you press a red button, nothing happens. 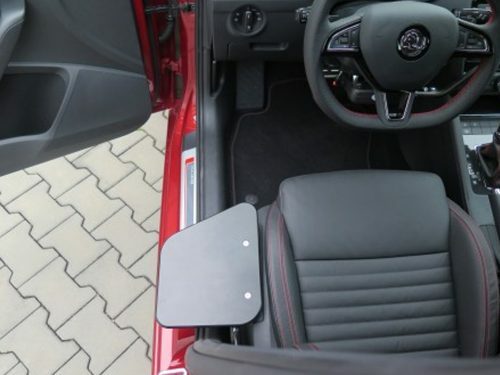 During the installation, the vehicle adaptation technician will program a custom path, optimised for you and your car. Much like any car seat but unlike any swivel seat the Turny Low is installed in a 4 degree inclinatio. This gives you a much better seating comfort. Given this is the position where you will spend 99% of your time in your car Autoadapt rated it quite high on their wish list. 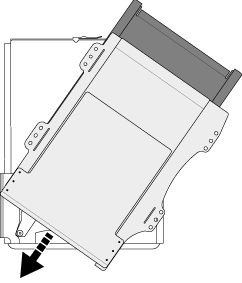 But the inclined installation works for that final percent of the time also. 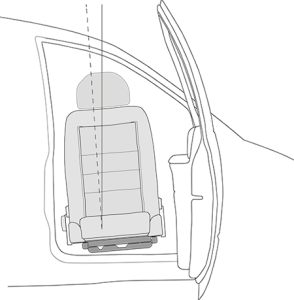 During the swivel process your body will lean towards the B-Pillar, placing your head at the highest part of the vehicle door. 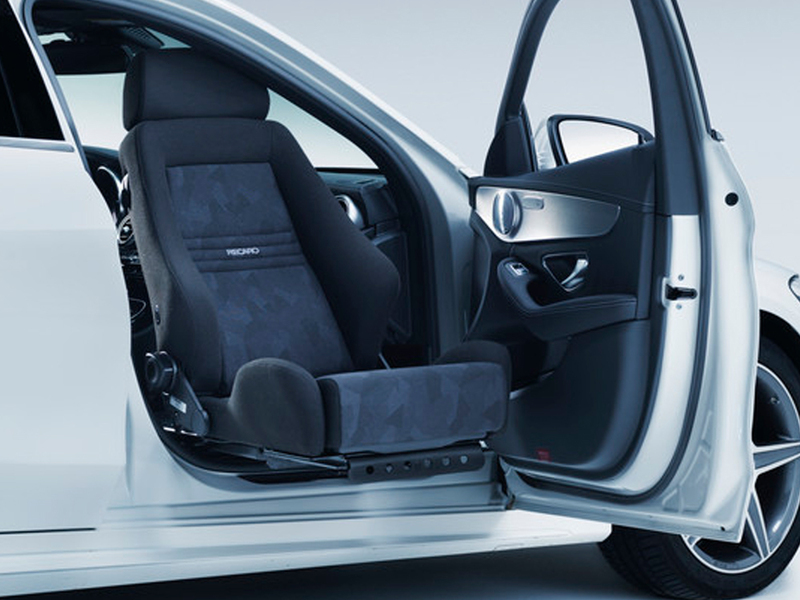 To bring the seat even closer to the B-Pillar during the swivel process the entire product is given an offset design. 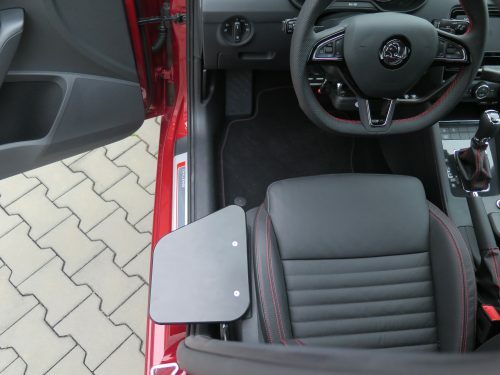 Together with the ReXtension, the offset design gives you a dramatically increased leg space and a much less troublesome ride into and out of the vehicle.